A hit of this magnitude was a long time coming for the French visionary Anthony Gonzalez, the man behind M83. 2005's Before The Dawn Heals Us spawned singles that let us know he was capable of making anthems. Then 2008's Saturdays = Youth saw Gonzalez's '80s shoegaze obsession soaring to new heights. Records from that LP popped up everywhere from Miley Cyrus movies to video game commercials. But to the average music listener, 2011 will be considered the year that M83 officially broke through. 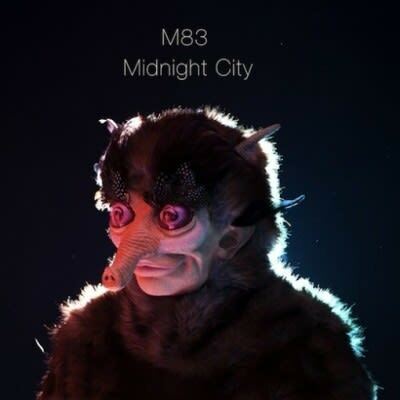 Between How To Make It In America, the sports series 24/7, and that Victoria's Secret commercial, there seemed to be a competition over who could make best use of the "Midnight City" license this year. Gonzalez uses his altered vocals as the lifeline of the song, and once the rest of the production kicks in, it never lets up. Though unabashed about its influences—witness the big Hall & Oates-esque saxophone solo—"Midnight City" still stands on its own as a wholly original record whose epic arrangements are sure to influence other ambitious producers years down the line.